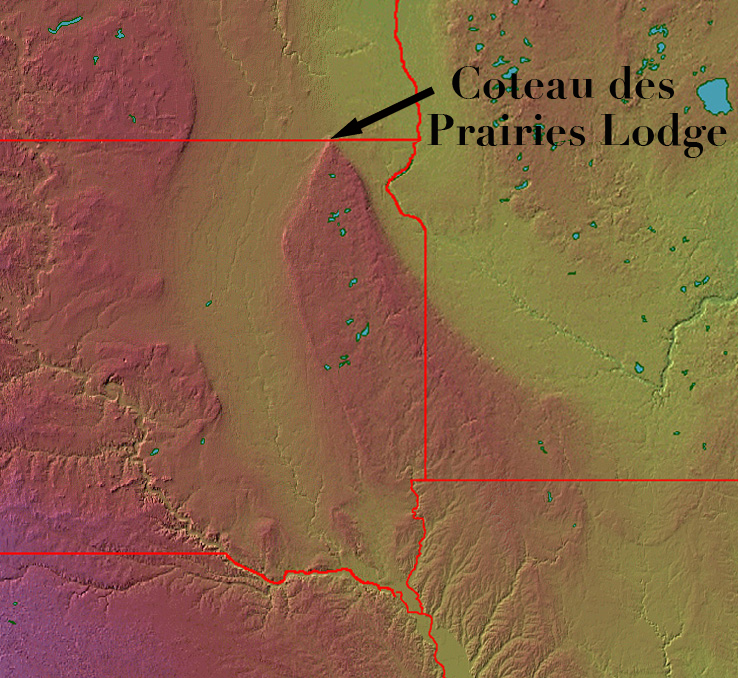 Exaggerated digital 3D image of the Coteau des Prairies (as seen from the north) to prominently reveal elevation changes. 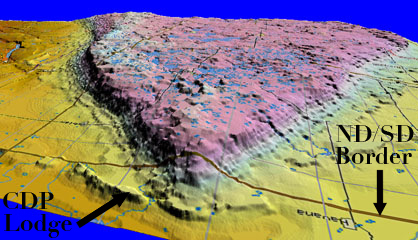 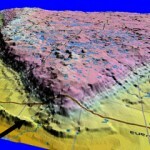 Satellite topography image color coded to emphasize elevation change. 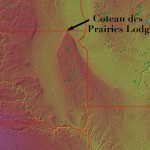 The Coteau des Prairies stands in stark contrast to the surrounding area. 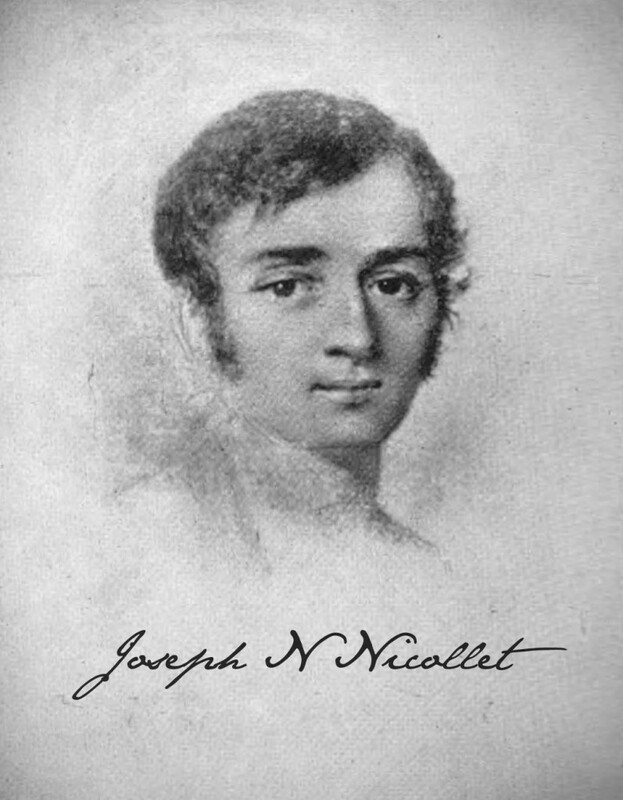 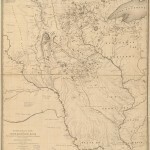 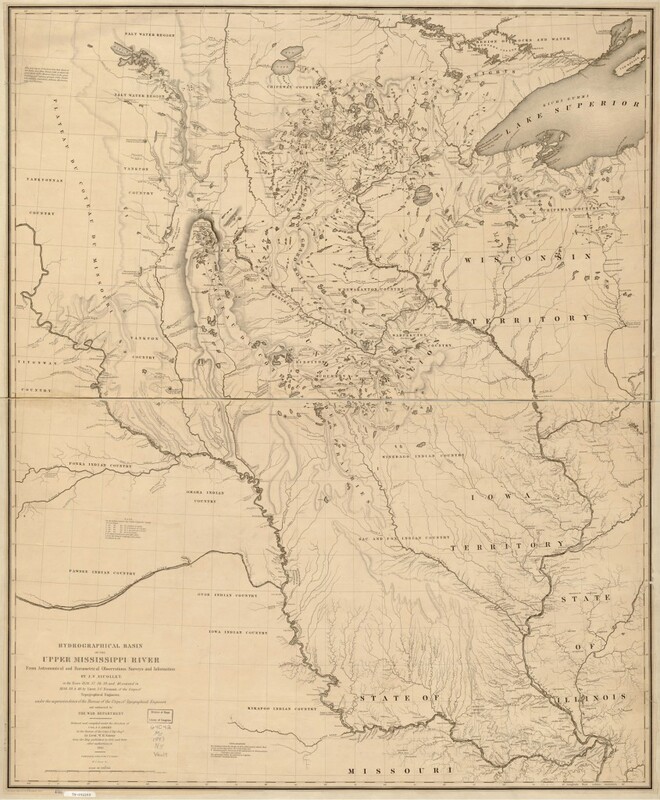 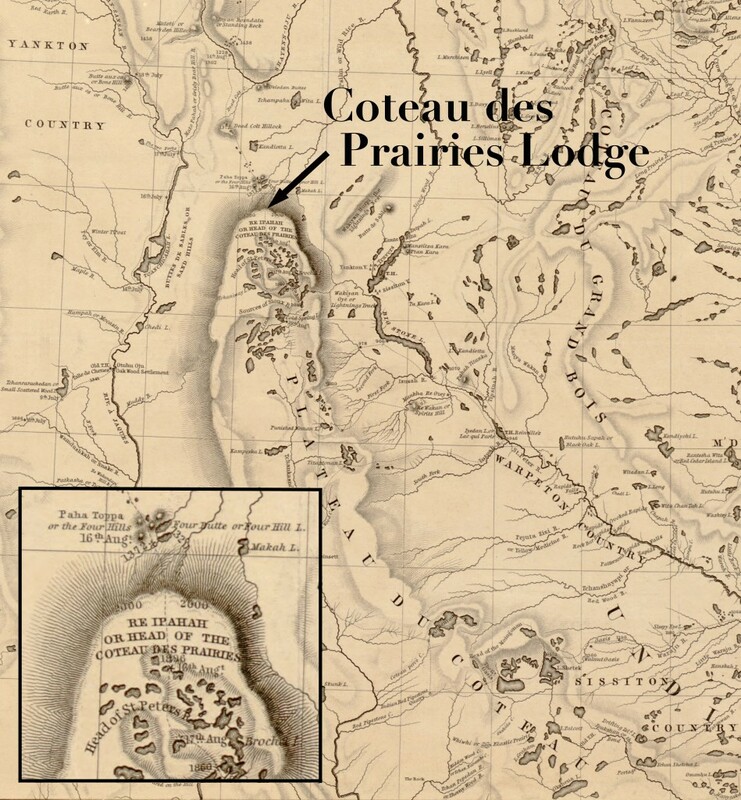 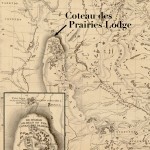 In 1839, Joseph N Nicollet's 3rd and final expedition brought him to the head of the great prairie hill range he named Coteau des Prairies. 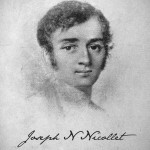 See story below.